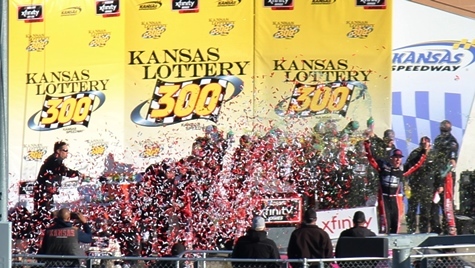 Kansas Lottery 300 – Welcome to Wyandotte Daily! 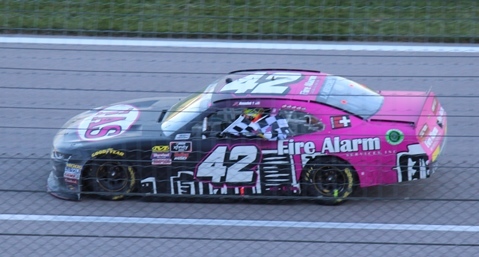 John Hunter Nemechek won his first NASCAR XFINITY Series race on Saturday afternoon at the Kansas Speedway in Kansas City, Kansas. 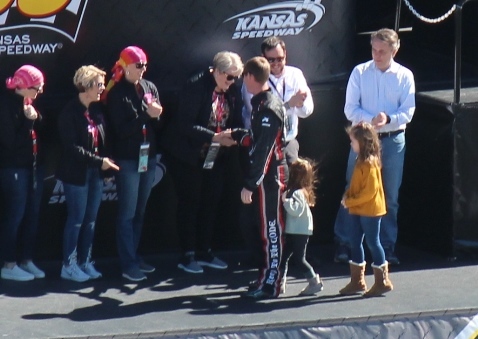 His father, Joe Nemechek, won the Kansas Lottery 300 race 14 years ago here. 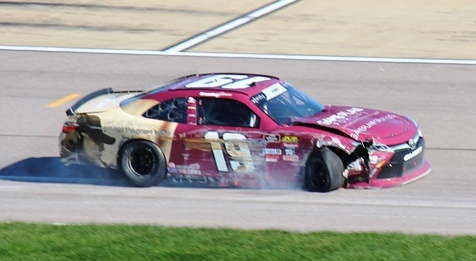 It was John’s 15th XFINITY race. 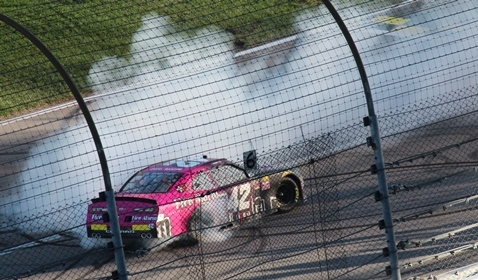 He was driving the No. 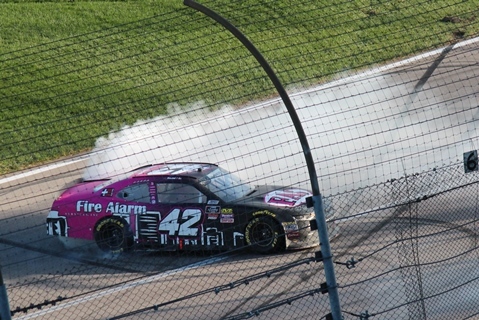 42 Chevrolet for Chip Ganassi Racing. 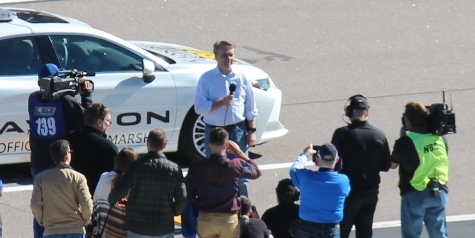 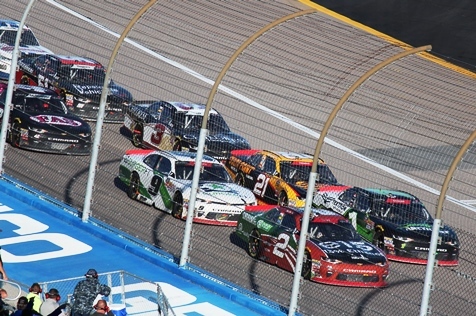 After a first-lap wreck took some of the competitors out of the race Saturday, Nemechek was able to continue toward the win, competing with Daniel Hemric, who was second, and Elliott Sadler, third. 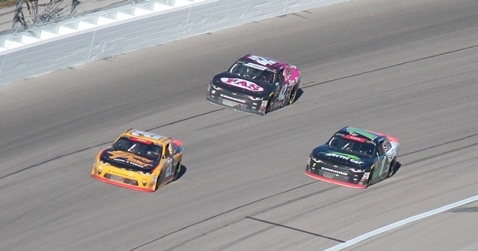 Hemric is the XFINITY point leader, with Sadler second. 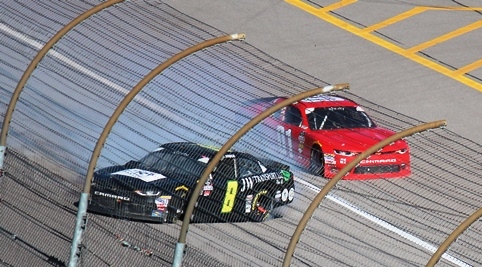 In the first lap of the race, Justin Allgaier spun around and the resulting wreck took him out, along with Christopher Bell, Spencer Gallagher, Chase Briscoe, Austin Cindric, Michael Annett and Ryan Truex. 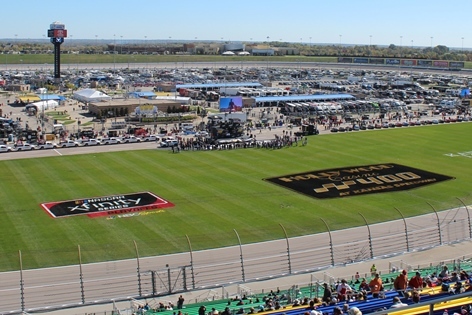 Racing action continues at 1 p.m. Sunday with the NASCAR Monster Energy Cup Series Hollywood Casino 400. 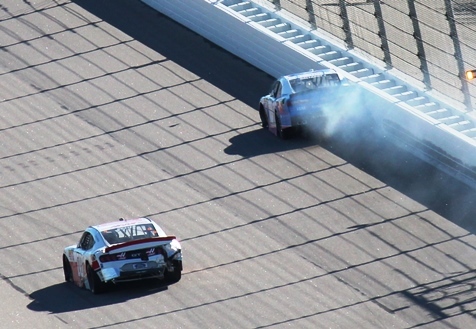 It will be the elimination race for the second round of the playoffs. 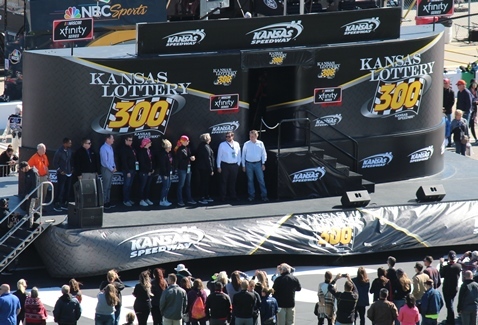 For more information or tickets, call 866-460-RACE, visit www.kansasspeedway.com, or go to the Gate B ticket booth.